I. The family Polytrichaceae. 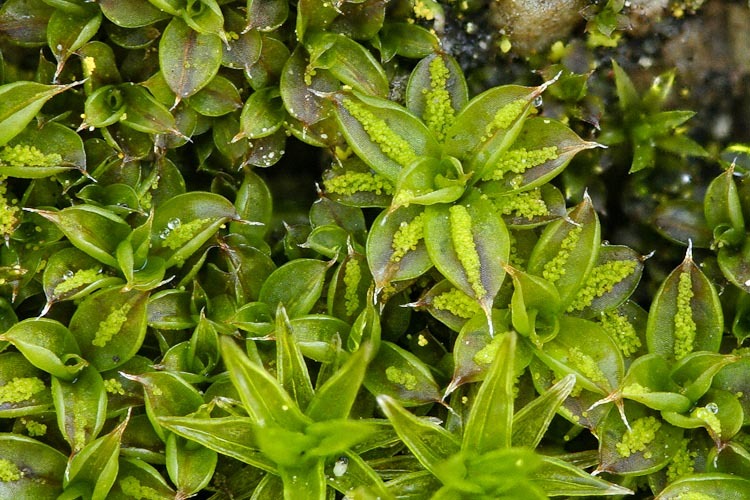 A group of mosses that is distinctive morphologically is the family Polytrichaceae, which includes several widespread and robust species. 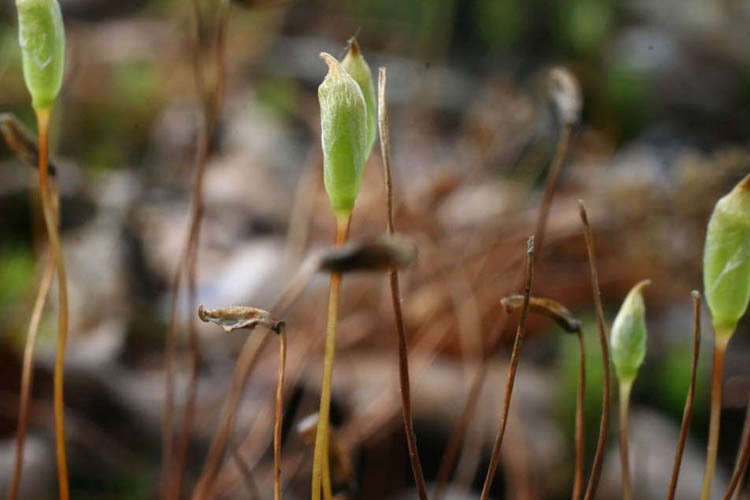 For example, the Ohio haircap moss, Polytrichum ohioense, is common on the ground in woods throughout the much of the eastern U.S.
Ohio haircap moss, Polytrichum ohioense, is a robust acrocarp. 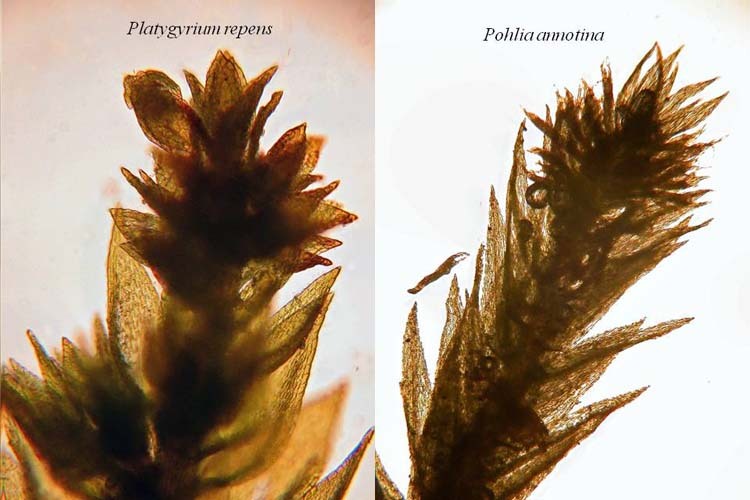 A distinctive feature of the genus Polytrichum is its calyptra, which is covered with many (poly) hairs (trichum). The Ohio haircap noss calyptra is covered with many hairs. A distinctive feature of the family Polytrichaceae is the peristome, consisting not of individual teeth, bot of a ring of pores. Mosses in the family Polytrichaceae have a distinctive peristome. The teeth are fused to a central disk, so the spores exit through pores arranged in a ring. Another prominent genus in the Polytrichaceae lacks hairs on its calyptra and so is named Atrichum (“no hairs”). Atrichum sporophytes have smooth (hairless) calyptras. 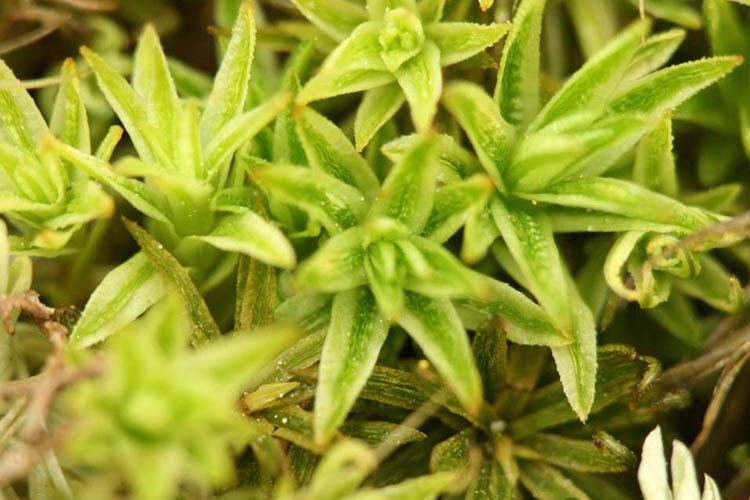 Atrichum is a genus of robust woodland ground mosses that display well the lamellae that are characteristic of the family Polytrichaceae. 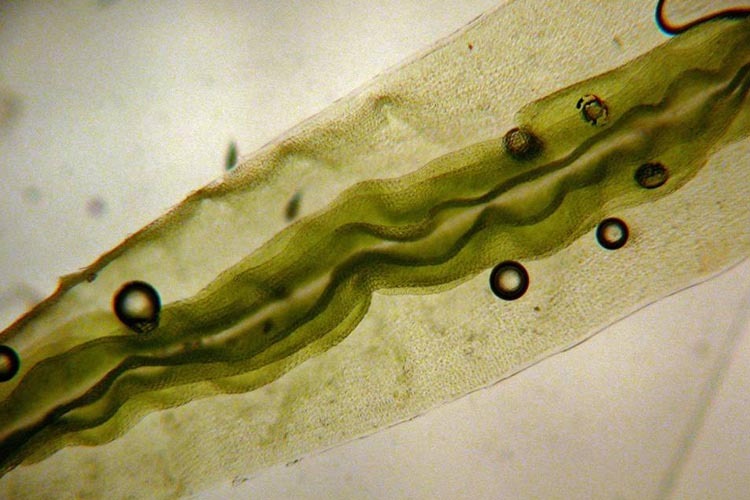 Microscope views of the Atrichum leaf show the lamellae well. The Atrichum leaf displays prominent lamellae. II. FFFFissidns is fffflat. Most mosses have leaves arranged in tight spirals abound the stem. 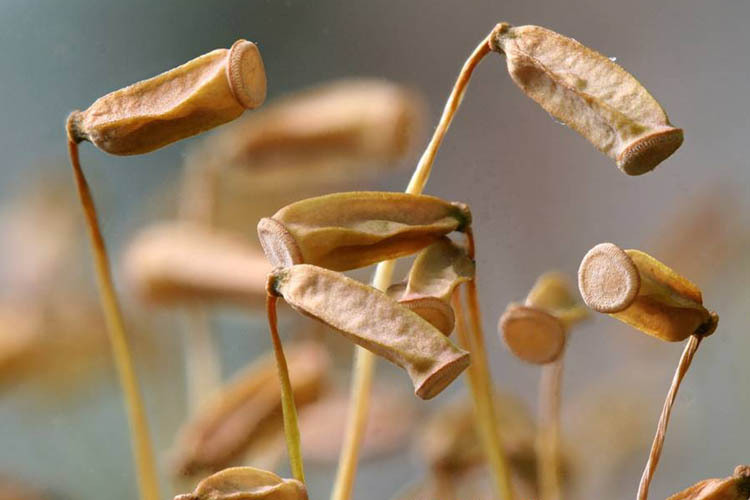 A few, however, are two-ranked, with straight rows of leaves directly across one another on the stem. Note: many creeping mosses that have leaves that are not in 2 rows nonetheless look like they do because they have their leaves folded in a manner that gives the stems and branches a flattened appearance. Do not confuse those so-called “complanate” plants with the genus shown here that is actually two-ranked.) 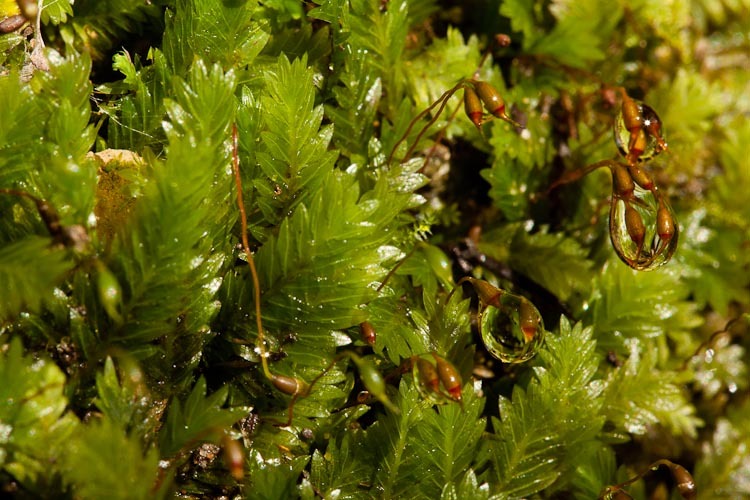 Fissidens is a moderately large genus with a few extremely common members, and is one of the most distinctive mosses. Fissidens leaves are inserted in two rows directly across from one another. Fissidens is flat, and the leaves have a peculiar anatomy. Like those of irises, the leaves are “equitant,” a term pertaining to their similarity in cross-section to a horse and rider. 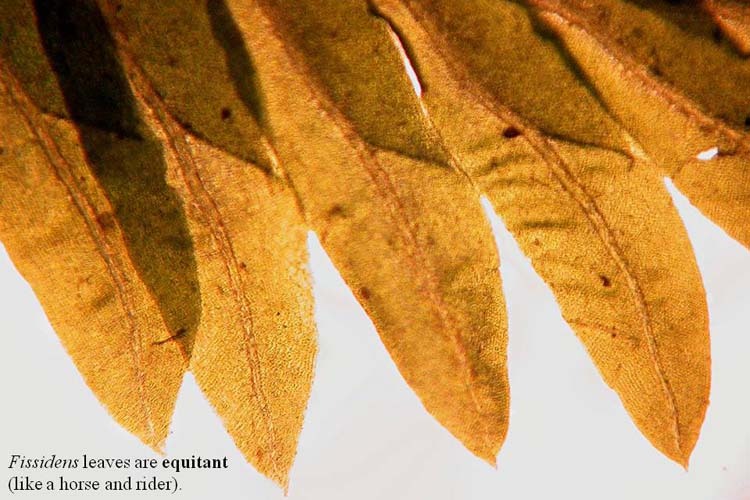 The upper base of each leaf is split (the rider’s legs), and the base of the leaf above (the horse) fits deeply into the split. Fissidens leaves are split along the upper surface, and clasp the base of the leaf above. 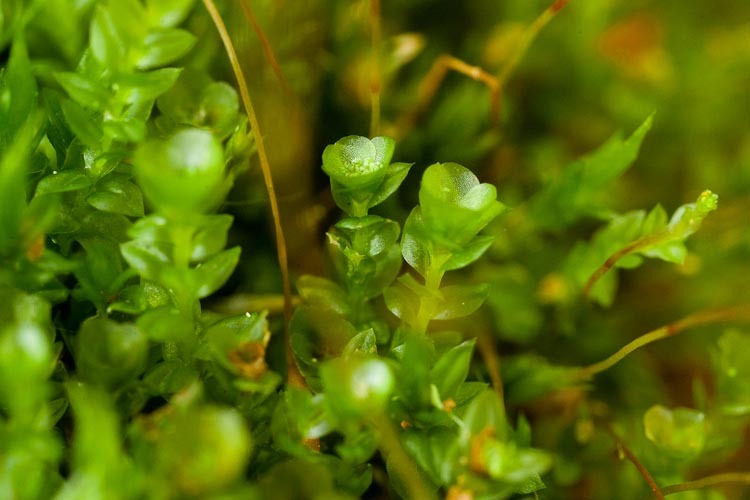 Some mosses are distinctive because they reproduce wholly or in part asexually by means of specialized “gemmae” that fall away from the plant and form new plants (clones). Tetraphis pellucida is an acrocarp found on stumps and sandstone ledges that forms little bird’s nest-like cups at the stem tips containing tiny globular gemmae. 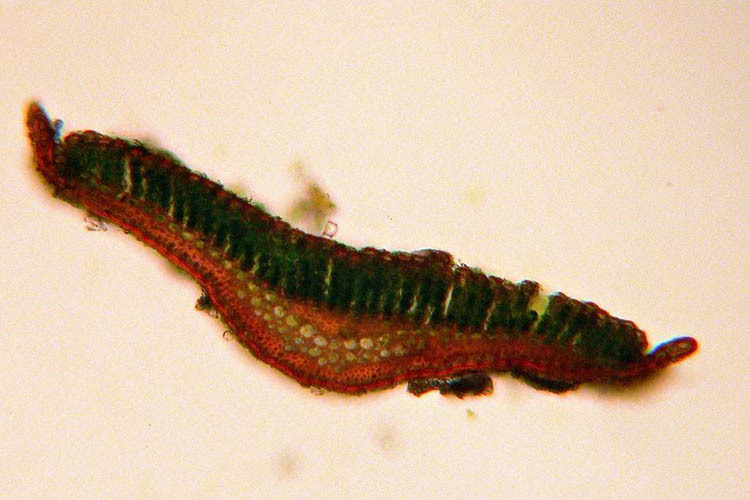 Tetraphis pellucida has cups with tiny globular gemmae within. 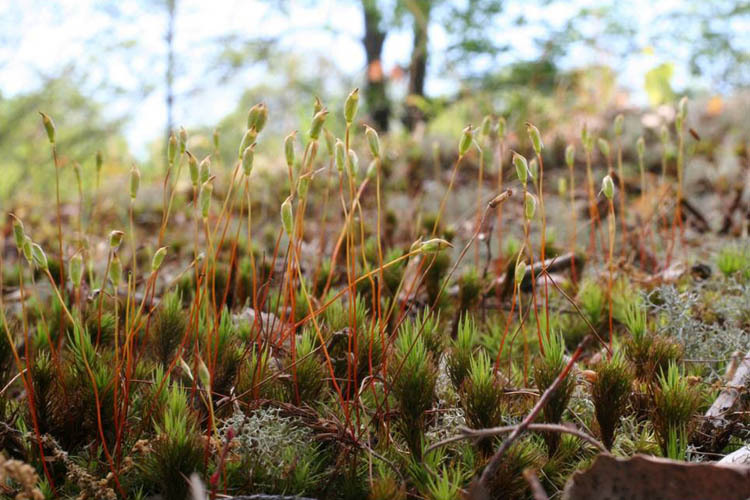 Some mosses have miniature branch-like gemmae at their stem tips and/or in the axils of their leaves. 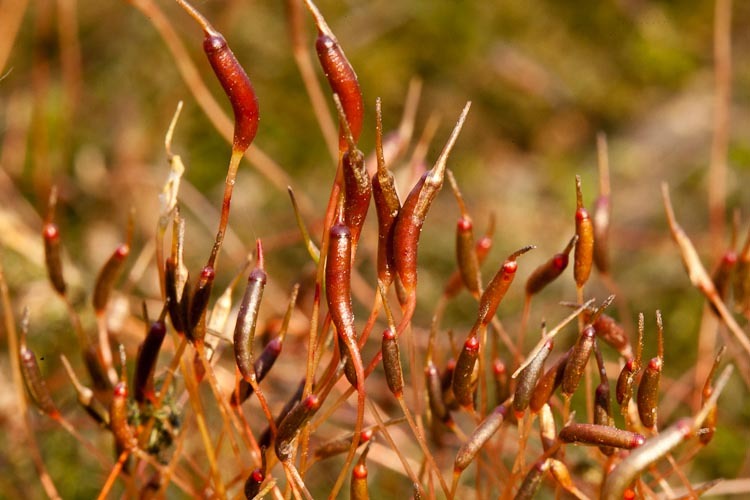 Syntrichia papillosa is a very distinctive moss that reproduces only by means of asexual gemmae. These are small globular clusters of several cells each, produced abundantly along the costa (midvein). Syntrichia papillosa is a short acrocarp with broad leaves bearing gemmae along the costa.